1. A classic and super-practical tall, glossy pair of Hunter Rainboots you'll wear for years and years to come. 2. A simple but totally gorgeous strapless Likely cocktail dress for weddings, holidays, and formal events. 3. A set of dreamy cotton-blend Cosabella pajamas so you can sleep in the lap of luxury. 4. A cheeky little Knowlita sweatshirt, because you've come to a point in your life where you know exactly where you want to be and you're not compromising it. 5. A silky-soft Equipment button-up blouse that'll have you feeling (and looking) like a star. 6. A pair of very playful Comme Des Garcons high-top sneakers you'll literally be able to wear with anything — flowing dress? Yes! Favorite skinny jeans? Duh! Pair of cutoff shorts? Of course! 7. A cozy and totally necessary Canada Goose parka jacket, because how else are you gonna survive this winter? 8. 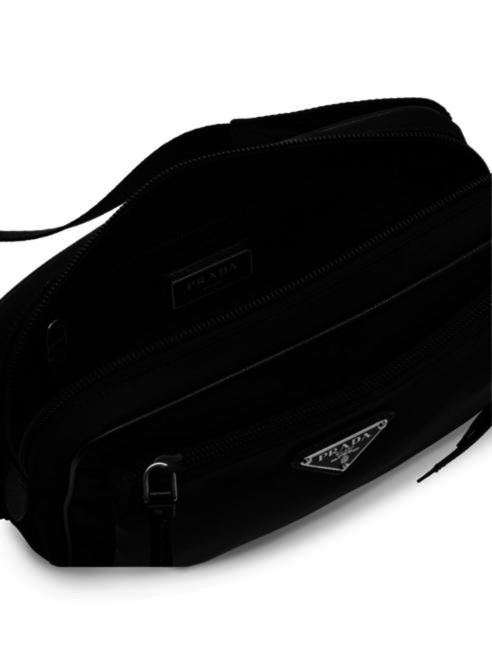 A very on-trend Cult Gaia Ark bag that you'll probably recognize from all over your Instagram. 9. 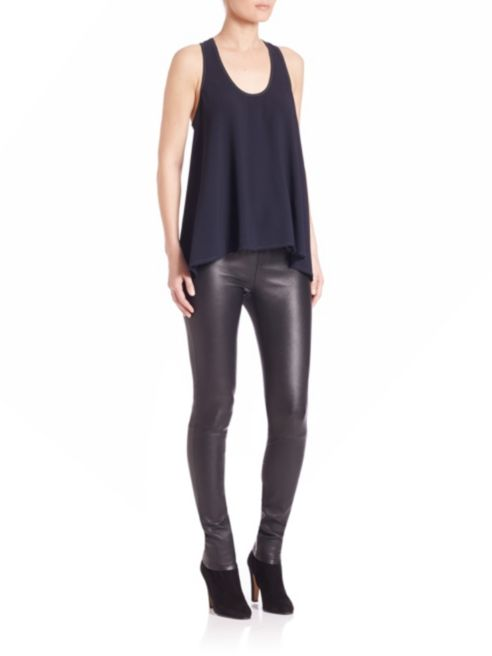 A pair of ultra-chic Helmut Lang leather leggings, because no one makes them better — seriously, no one — so if you're gonna invest, this is where you should do it. 10. An adorable pair of Italian-made Fendi logo socks to really bring your OOTD to the next level. 11. A glittering pair of satin Manolo Blahnik pumps you'll style so perfectly people will be saying, "Carrie Bradshaw who?" 12. 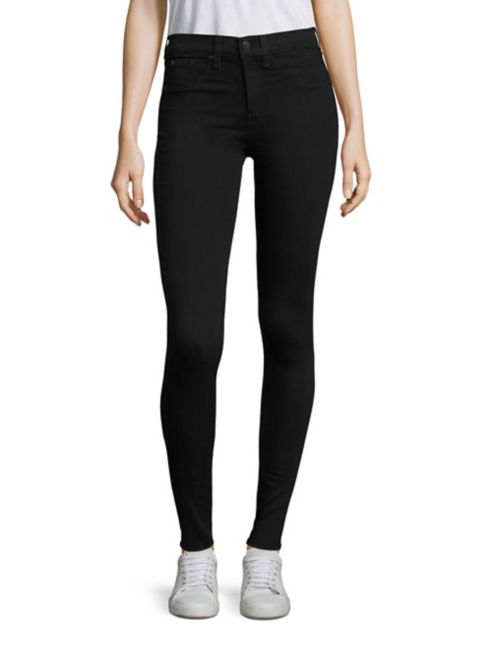 A totally necessary pair of high-waisted Rag & Bone legging jeans, because you'll wear these more than anything else you've ever worn. 13. A pair of Alexander Wang's The Gabi booties that'll give you some style and height without ever sacrificing comfort. 14. A pair of the coziest and comfiest Ugg slippers you'll ever own — just like your booties, they'll become your go-to! 15. A butter-soft Joie leather jacket that'll make it seem like you've always known Joie was pronounced jwa and not Joey. 16. A bold but very practical leather Gucci cross-body bag I'm almost certain is the on-trend Mary Poppins bag, because despite its small design it can fit so much stuff! 17. An Opening Ceremony letterman jacket with gorgeous leather sleeves that I'm sure all the cool kids will be wearing this fall. 18. A fantastic Diptyque Baies candle to fill your home with the gorgeous scent of a rose garden and a classy AF piece of decor. 19. A super-comfortable pair of lace Hanky Panky undies — they're just the most comfortable underwear you'll ever own, seriously. 20. 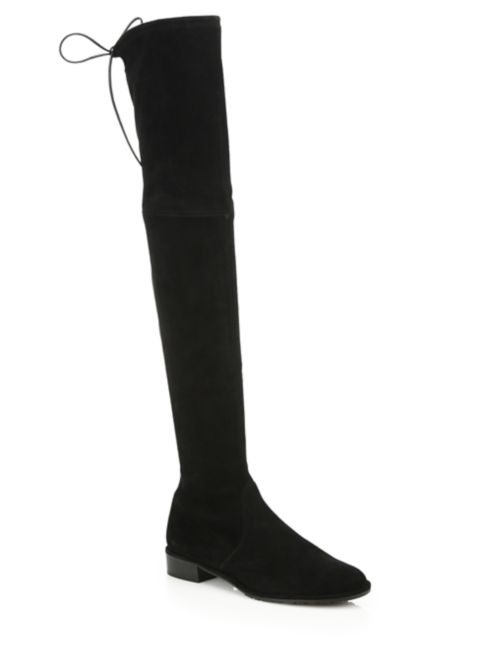 A pair of classic AF suede over-the-knee Stuart Weitzman Lowland boots, because you've been wanting them for so long it's time to just bite the bullet. 21. A deliciously soft leather Loewe Puzzle bag — the best damn handbag ever created — which is roomy, has a handle, a cross-body strap, and a small outside pocket for things you need quick access to. Its unique design takes it from basic black bag to total fashion statement. Seriously, people, it's amazing. 22. A timeless mid-length cotton Burberry trench coat perfect for a lifetime of foggy weather, rainy days, and looking totally flawless. 23. A pair of metallic Golden Goose sneakers, because they're the freakin' it shoe right now — designed to look distressed, and go perfectly with everything you own. 24. A spacious Rebecca Minkoff nylon backpack available in a variety of fun colors to help show off your colorful personality while you lug everything you need around town. 25. A pair of Valentino Rockstud ankle-strap heels that just might be the first bearable high-heel shoes ever created. I dunno how, but they're actually walkable for long periods of time. 26. A pack of ultra-hydrating La Mer sheet masks with their signature Hydrating Ferments, formulated to bring your skin back to life and give it the moisture it's been craving. 27. A faux leather Tory Burch tote roomy enough to fit everything you need for work, the gym, and maybe even that quick impulse purchase you made during your lunch break. 28. 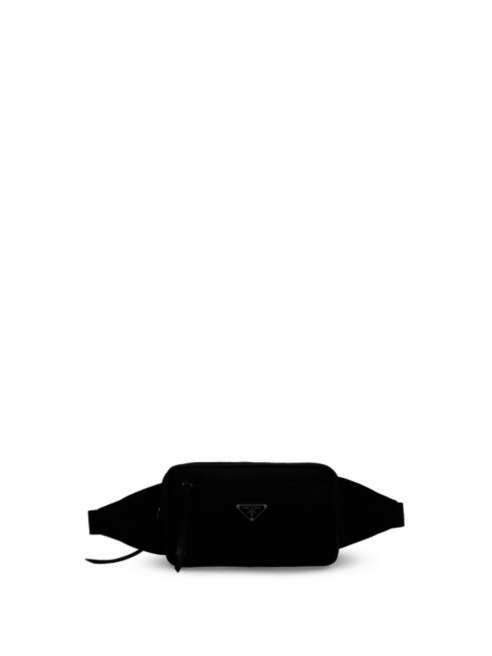 A motherf#@%ing nylon Prada belt bag, because if you're gonna get into this whole fanny pack trend it's gonna have to be Prada or nada. 29. A bottle of Mario Badescu Vitamin C serum designed to protect skin, reduce discoloration, brighten skin, and enhance firmness and elasticity. 30. And a very luxurious Gucci velvet GG shoulder bag, because treat yo' self!